How do I get a North Carolina building contractor license? First, you must obtain a license application from the Licensing Board. You can do this by sending a check for $15 to the address below or downloading the application from the website below for a $13 charge. Submit the General Contractors License application and supporting documents to the North Carolina Board for General Contractors. Applications must be received 30 days prior to any regularly scheduled meeting of the Board. The meeting dates are also listed on the website above. Do I need a license prior to bidding on a project? If the project costs $30,000 or more, you will need a license before submitting a bid. What is the difference between the North Carolina Residential Contractor License and the Building Contractor License? The Residential Contractor license is for one and two-family dwellings, whereas the Building Contractor license is for commercial, industrial, institutional and residential building. Do I need to pass a separate Business and Law Examination? No, there is not a separate Business and Law exam. There is just one 90 question exam covering all the topics listed above. Even if you take the NASCLA-Accredited exam, you do not have to take a separate Business and Law exam for North Carolina. 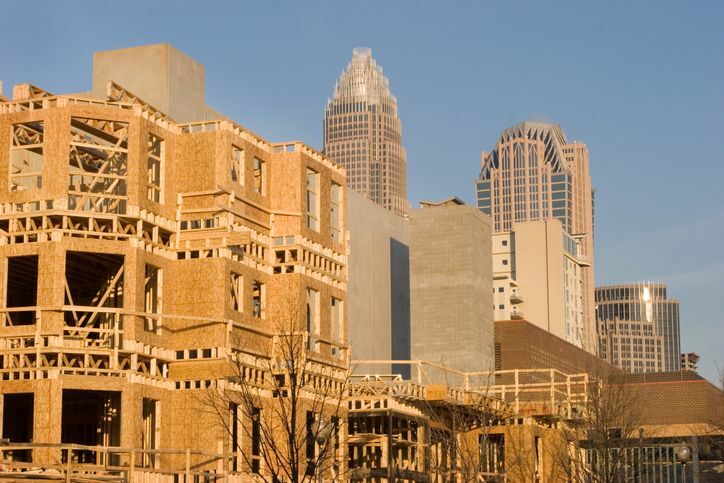 Does North Carolina require a General Contractor (commercial contractor) license? Do I need to renew my North Carolina contractor license? Licenses must be renewed annually by December 31st for the following year, or the license expires. If a license is not renewed within sixty (60) days following expiration, then it becomes “invalid,” and the contractor becomes, in effect, unlicensed. Reexamination is required if a license is not renewed for four (4) years following expiration. After a lapse of four years, no renewal shall be affected and all requirements for a new license must be fulfilled, in accordance with G.S. 87-10. Do you want to become a Building Contractor, Residential Contractor, or General Contractors in North Carolina? We can help. Our North Carolina contractor license online study courses are easy to use and understand. We combine HD Videos, engaging slides and practice questions as close to the real test as it gets. We walk you through the reference books pointing out what is important. Our courses are separated into easy to follow lessons. You can go at your own pace and review the information as many times as you want. Check out our North Carolina Building Contractor License Exam Prep Courses, and Professional Development courses anytime! This entry was posted in Construction and tagged North Carolina Construction.